Korayem, M., Sadeghzadeh, S. (2012). Dynamics of Macro–Nano Mechanical Systems; Fixed Interfacial Multiscale Method. International Journal of Nanoscience and Nanotechnology, 8(4), 227-246. M. H. Korayem; S. Sadeghzadeh. "Dynamics of Macro–Nano Mechanical Systems; Fixed Interfacial Multiscale Method". International Journal of Nanoscience and Nanotechnology, 8, 4, 2012, 227-246. Korayem, M., Sadeghzadeh, S. (2012). 'Dynamics of Macro–Nano Mechanical Systems; Fixed Interfacial Multiscale Method', International Journal of Nanoscience and Nanotechnology, 8(4), pp. 227-246. Korayem, M., Sadeghzadeh, S. Dynamics of Macro–Nano Mechanical Systems; Fixed Interfacial Multiscale Method. 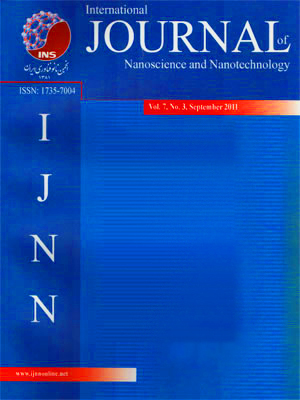 International Journal of Nanoscience and Nanotechnology, 2012; 8(4): 227-246.